CDRLabs kicks off the New Year with a review of Samsung's 960 PRO SSD. 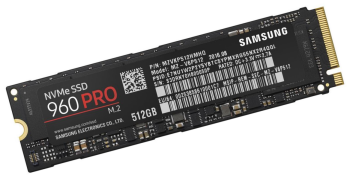 First unveiled at the 2016 Samsung SSD Global Summit in Seoul, this cutting-edge NVMe SSD is powered by the company's new 5-core Polaris controller and is available with up to 2TB of their 48-layer V-NAND flash. Also, thanks to its PCIe Gen 3.0 x4 lane interface, the 960 PRO is capable of delivering up to 3,500 MB/s sequential read and 2,100 MB/s sequential write speeds.